Each August since 1998, Beloit College has released the Beloit College Mindset List, providing a look at the cultural touchstones that shape the lives of students entering college this fall. Recently, the Mindset List of the Class of 2022 was released. The creation of Beloit’s former Public Affairs Director Ron Nief and Keefer Professor of the Humanities Tom McBride, authors of The Mindset Lists of American History: From Typewriters to Text Messages, What Ten Generations of Americans Think Is Normal, it was originally created as a reminder to faculty to be aware of dated references. It quickly became an internationally monitored catalog of the changing worldview of each new college generation. The Prius has always been on the road in the U.S.
Students come to college with particular assumptions based on the horizons of their lived experience. All teachers need to monitor their references, while students need to appreciate that without a sound education they will never get beyond the cave of their own limited personal experiences. Films have always been distributed on the Internet. A visit to a bank has been a rare event. The original authors have moved on to new projects in their retirement but will continue their battle against “hardening of the references” at their website, themindsetlist.com. Even if you’re not a college professor, you need to read the whole list here. With contributions from parents and academics around the world, the List has tracked cultural change, stimulated intergenerational conversation, and just made older people feel even older. Whose face do you see when you look in the mirror? I’m over two decades past the age of 35, and I obviously have a different outlook on life than those two young women. Or do I? I’m not normally the type that looks at myself in a mirror. But this comment, along with comments from my colleagues I had not seen in several months made me look in the mirror in the hotel that night. Just who was that looking back at me? The face I saw was that of my father. Even though he passed away four years ago, I still have vivid memories of him. Going places he’d been, seeing things he had talked about, reading about things he was interested in – my memories are constant, and good. This morning, I looked long in the mirror and the vision I saw was that of my father, coming into focus like a picture being developed right in front of my eyes. Thought of another way, however, that familiar face embedded in my mind morphed into my son’s and then into his son’s – my grandson. Like a modern day mashup, those collections of lives lived, and yet to live, offer a considerable span of history. A long life lived, a life at halftime, a life in early adulthood, and a life just beginning – that’s quite a few faces in the mirror. It doesn’t take a magic mirror to see the past in your own face, or wonder about the future in the face of your children and grandchildren. Who knows when you will glance into a mirror and meet a past you hadn’t expected and weren’t ready for, or a future that is yet to come. Look in the mirror – what do you see? The legions of ancient Rome were composed of ten cohorts each: cohesive units of 300-600 men who trained, ate, slept, fought, won, lost, lived, and died together. The strength was their ability to think, act, and react as a unit. Though composed of individuals, training and socialization equipped them to behave as if of a single mind when called to battle. Social demographers, students of the effects of population on society, use the term cohort to refer to people born in the same general time span who share key life experiences – from setting out for school for the first time together through reaching puberty at the same time, to entering the workforce or university or marriage or middle age or their dotage at the same time. The five primary generations of today’s American lifestyle span a remarkable slice of American and world history. Three major wars, countless minor (?) ones, economic booms and busts, social upheavals, rocketing technological achievement, and even stepping beyond our planet are among the milestones that have directly and indirectly shaped the times. 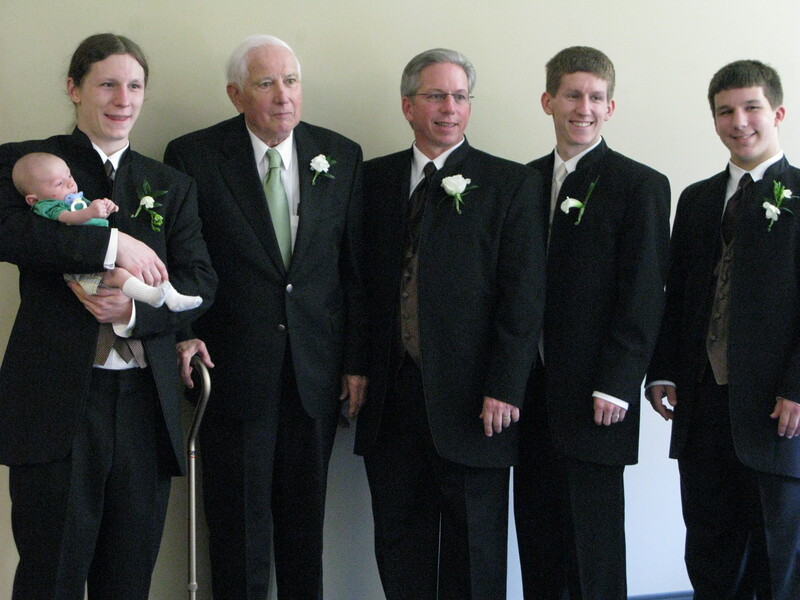 I count myself fortunate to have a direct connection to all five generations. To me, understanding more about how each of them think, feel, and act is not just a mental exercise – it’s necessary part of life. Veterans (1922-1945) My father and mother were born into the early part of this cohort. He entered military service just as WWII was ending; she was in college and then taught school; they were part of what some call “The Greatest Generation”. Think “American values” and you’ve got their number: civic pride, loyalty, respect for authority, and apple pie. My father passed away in 2012, and my mother is in declining health now. But as a cohort, their generation may be moving into their twilight years, but they still control a significant part of the economy and will continue to be influential in the years ahead. Baby Boomers (1946-1964) I am a late Baby Boomer. Born in 1958, I am a part of what was until recently the largest cohort in US history. For over thirty years, the sheer size of the Boomer generation defined the organization’s social landscape in a majority-rules cultural takeover. We were the civil rights, empowerment, and diversity generation. Never content with the status quo, we are always redefining what it means to be old and cool and important and successful. Generation X (1965-1981) My oldest son and one of my daughters-in-law are Xers, even though they sometimes exhibit characteristics of the next cohort as well. Technologically adept, clever, and resourceful, the Xers are a deeply segmented, fragmented cohort. Their need for feed back and flexibility, coupled with the dislike of close supervision is but one of the many complex nuances of this generation. They are all about change- they’ve changed cities, homes, and even parents all their lives. Often seen as pessimistic with an edgy skepticism, many Xers are more positive about their personal future than the group as a whole. Millennials (1982-2000) My other three children, a daughter-in-law, and a son-in-law all fall into this cohort. They are the children of the soccer moms and little League dads, and endless rounds of swim meets, karate classes, dancing lessons, computer camp and … you get the picture. They consider themselves the smartest, cleverest, healthiest and most-wanted group to have ever lived. Born into the technology boom times, barriers of time and space have little absolute meaning to them. They are willing to work and learn. By sheer numbers (their total births eclipsed the Boomers by several million) they are going to dominate history in new ways. They are the hyper-connected: constantly connected to multiple devices in order to know what and whom they need to know. Generation Y (born after 2001) Just now entering into the teenage years, sociologists have little hard data yet. But it is the generation of my four grandchildren, and it is important to me! There are some indications that generational cohorts repeat every four generations, so we’ll just have to see. At least from my viewpoint, their generation will be about social technologies, a decreasing importance of the US, and a growing global awareness. An interesting fact, and the origin of the title of this website: there are 27 years between each of the above generations in my family, thus 27gen. The next five to ten years are going to be very interesting as each of these five generations exert influence on each other. I will be actively watching my own microcosm of society! One of the consistent lenses I use to view life through is that of generations. It comes as a natural part of my curiosity of life, as I am interacting with 5 generational cohorts in my family: my father was from the GI Generation; I am a Baby Boomer; my oldest son is a Gen Xer; my other three children are Millennials; and my grandchildren are in the iGeneration. Even though we are spread out across three states (and occasionally, around the world) and do not get to interact as much as we would like, the personal level of generational differences is obvious. Take the same dynamics as above – 5 generations – and move them into the institutional world, say a church setting, and it won’t be long till you have a generational collision. If you are a leader in ChurchWorld, how do you deal with the fact that, for the first time in our history, we have four separate and distinct generations working alongside each other in our churches? The 5th generation, born since the mid-2000’s, is not far behind in taking up a leadership role. Generational differences are important, but it is all too easy to stereotype these differences. The only way we’ll ever build bridges between generations is to stop stereotyping and get to know who these generations really are and why they are that way. For the first time in history, we have four different generations in the workplace (and five in families). These generations might as well be from different countries, so different are their cultural styles and preferences. Of the four approaches organizations can take to blending the generations, only one of them works today. Focusing on the “what” escalates tensions, while focusing on the “why” pulls teams together. Knowing the twelve sticking points can allow teams to label tension points and work through them—even anticipate and preempt them. Implementing the five steps to cross-generational leadership can lead to empowering, not losing, key people. 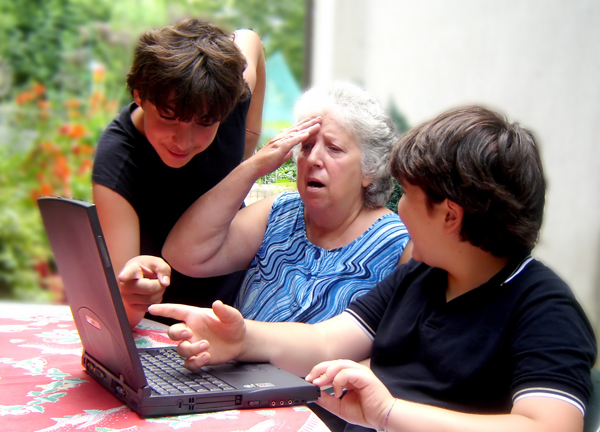 How many different generations do you regularly interact with? What’s Shaped the Mindset of Today’s College Freshmen? It’s August, and school is back in session for most students. 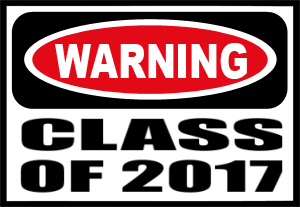 That means it’s time for my annual encouragement for leaders to take a look at the mindset of this year’s entering college freshmen, the class of 2017 – courtesy of Beloit College. Prepared by Beloit’s former Public Affairs Director Ron Nief and Keefer Professor of the Humanities Tom McBride, the list was originally created as a reminder to faculty to be aware of dated references. It quickly became an internationally monitored catalog of the changing worldview of each new college generation. Use smart phones in class to indicate they are reading the assignment they should have read last night, or they may be recording every minute of their college experience…or they may be texting the person next to them. Though they have never had the chicken pox, they are glad to have access to health insurance for a few more years. Will search for the academic majors reported to lead to good-paying jobs, and most of them will take a few courses taught at a distant university by a professor they will never meet. They will study hard, learn a good deal more, teach their professors quite a lot, and realize eventually that they will soon be in power. After all, by the time they hit their thirties, four out of ten voters will be of their generation. Whatever their employers may think of them, politicians will be paying close attention. They are the sharing generation, having shown tendencies to share everything, including possessions, no matter how personal. Their TV screens keep getting smaller as their parents’ screens grow ever larger. With GPS, they have never needed directions to get someplace, just an address. Their favorite feature films have always been largely, if not totally, computer generated. Their parents’ car CD player is soooooo ancient and embarrassing. They could always get rid of their outdated toys on eBay. Plasma has never been just a bodily fluid. Olympic fever has always erupted every two years. They have known only two presidents. The List was compiled to identify both the common ground that teachers and students share, and the mine fields of misunderstanding that seem to grow wider with every forgotten reference to the Berlin Wall or Monica Lewinsky. Our leadership brains are dealing with a digital divide in organizations today: team members of different generations think differently. First, there’s the digital natives; then come the digital immigrants. Bringing up the rear (literally) are the digital dinosaurs. Natives speak the language of their birth; immigrants are learning to translate the digital language of the natives, and then there are those individuals or organizations who are hopelessly out of date – the digital dinosaur. You may think that Traditionalists (born before WW II) fall into this category, and many do. But anyone or any organization can be a dinosaur. Digital media is transforming organizations everywhere. If your organization appears to be incapable of change, those who embrace digital technology won’t find it appealing. If your clients are changing their minds and getting plugged into the latest technology, you don’t won’t to present yourself as stuck in an analog world. Take a close look at what your competition is doing digitally. If they are still dinosaurs, make some changes so your organization can be the first to enter the global age. Rather than feeling safe because they aren’t doing anything that you’re not doing, get out of that reptile brain and use your thinking brain to take some risks to get updated. Note to church leaders: if my use of the words “client” and “competition” bother you, sorry – you have a whole different set of problems! The people who come to your church are your clients, and you do have competition – but it’s not the church down the street from you. A closing thought on this series: leadership is all in your head – literally. When your brain is at its best, you will be at your best as a leader. Understanding how your brain works is just the first step. 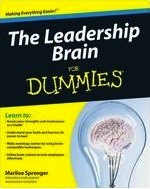 Put your leadership brain to work today! Some Traditionalists (born before WW II), many Baby Boomers (born 1945-1964), and the early Gen Xers (born 1965-through the 70s) fall into the category of digital immigrants. They didn’t grow up learning the second language of the digital world and speak it with varying degrees of fluency. 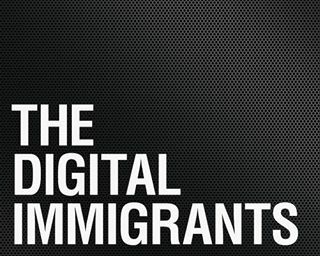 Digital immigrants have much to offer to your organization. Wisdom derived from years of storing patterns in the brain gives them the ability to see the big picture, predict accurately, foresee future consequences, and draw on mental templates to help store new information. Challenging tasks activate more areas in the frontal lobes of the brains of digital immigrants than in the brain of digital natives. The immigrants have little choice because their brains change as they increase their skills with technology. The natives may need to practice more skills that their brains haven’t used very much, like building rapport face to face. How do you lead digital natives and immigrants to work together?